Oh my isn't it sooo cute?!?!?! I love it! 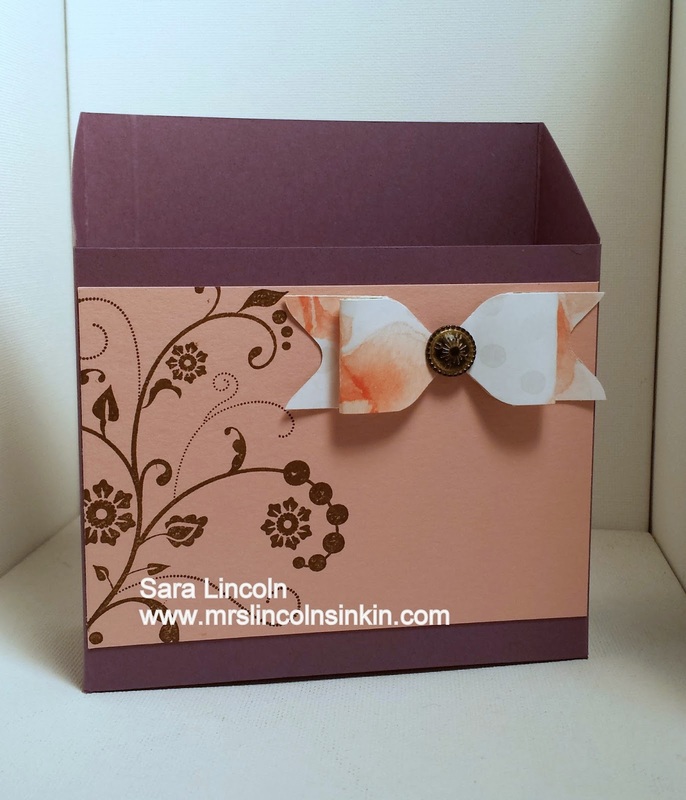 I used it on a card box that i made as well. I did video of this box a few weeks ago. You can view that post HERE. Now, let's get on to the picture tutorial shall we?! 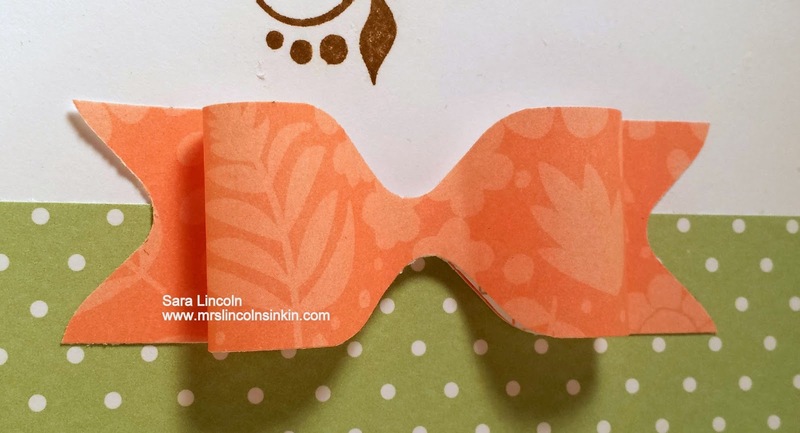 The first thing that you are going to need is a strip of card stock that measures 7 1/8" x 1". Today i am using the Pool Party card stock. If you are using the SU! 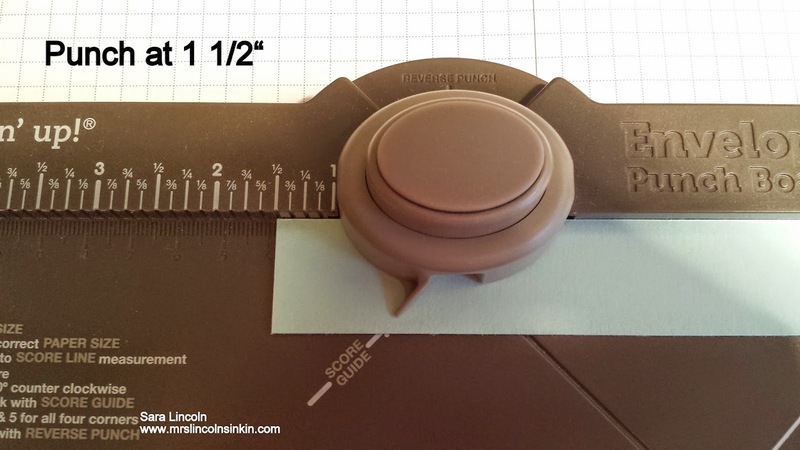 Paper Trimmer your 1/8" mark is going to be 2 notches from the 7" mark. 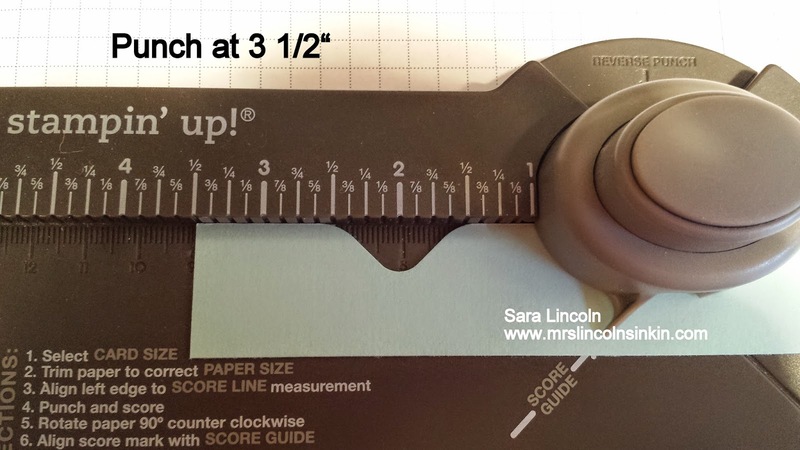 Next you are going to want to place your strip at the 1 1/2" mark and punch. Then move it down to the 3 1/2" mark and punch again. 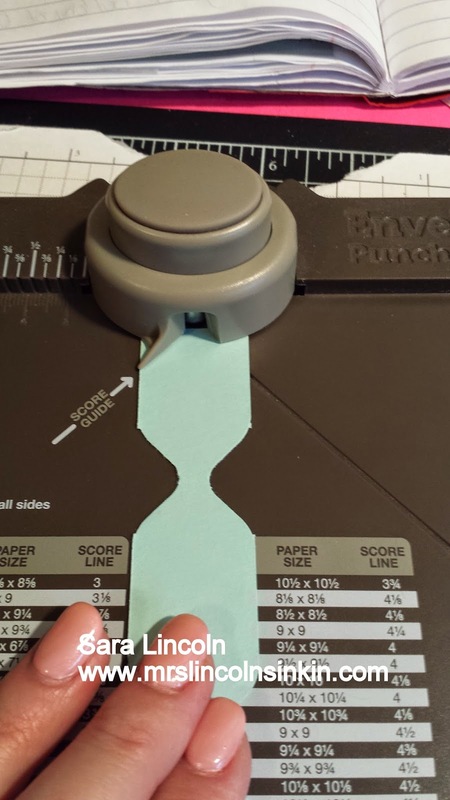 Now, after that is complete you are going to want to flip it over, so now the 2 notches you just made are on the bottom of the strip but still to the left of the "puncher" at the top. You are going to want to punch it again at the 1 1/2" mark. Do this exact same thing on the other side punching the same 3 places. Once you have completed all the punching it should look like this. Now take your Bone Folder and get the fibers out of the center pieces of your bow. 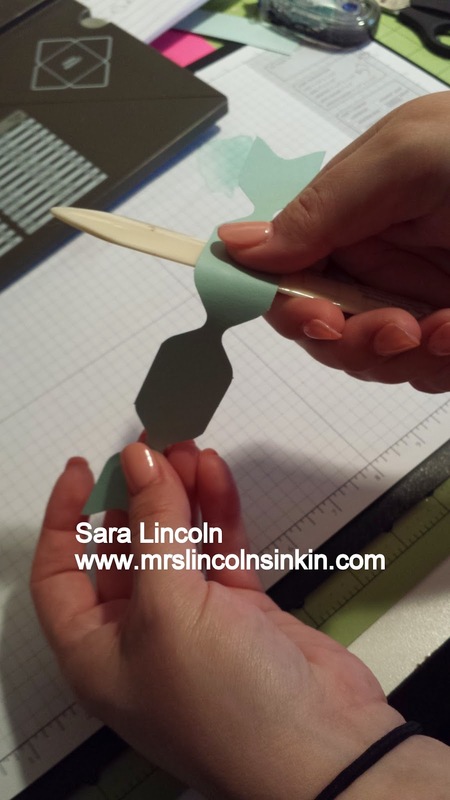 Do this by placing your Bone Folder underneath the paper and pulling gently outward. Like you do at Christmas time to make your ribbon curly. This allows the bow to bend and be worked with a lot easier!! Now flip your bow over again and place a Glue Dot in the middle of your bow. 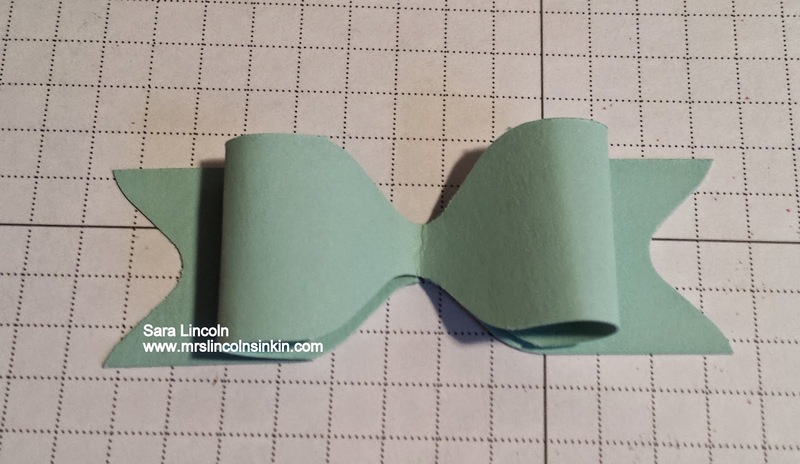 Fold the tails to the center of the bow sticking it with the Glue Dot. Do that to both sides and VOILA!!! 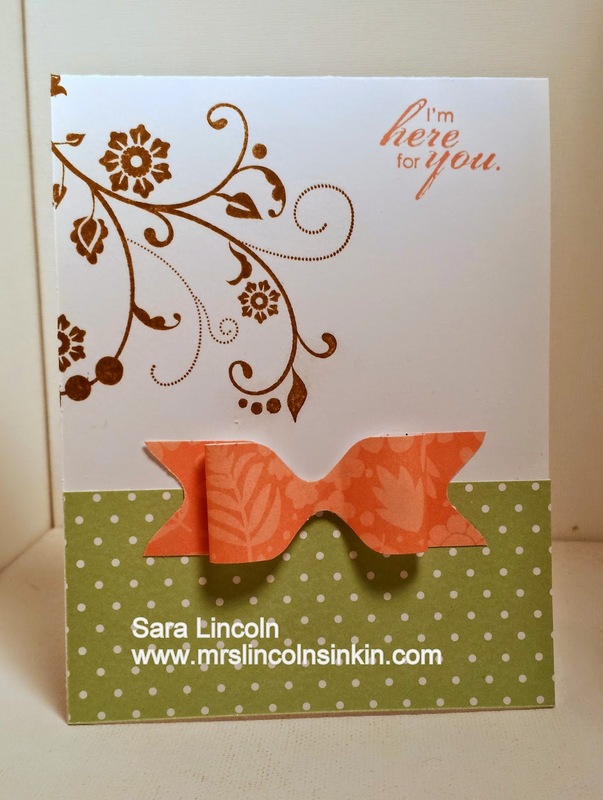 You have a bow using the Envelope Punch Board.